Rear license lamp gasket kit. 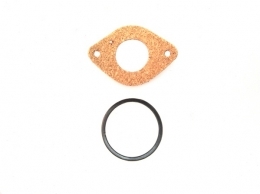 Includes rubber ring and cork gasket. Replaces original GM part #5935949 & 5936537. MADE IN THE USA.